English electronic-duo Bondax have just spent the past month touring their U.S. ‘Recur’ tour. This exciting show run hits large cities including Brooklyn, Los Angeles, Chicago, San Francisco, Miami and more, where the duo brought their lush, house and downtempo electronica vibes. In Chicago, Bondax played an incredible set at Chop Shop, marked with their distinct sound and amazing energy. The duo have also revealed that a full length artist album is on the way this year. Check out what they have to say about their tour, return to music, and new album below. 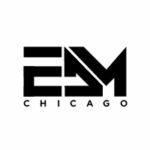 Thanks so much for speaking with EDM Chicago! How does it feel to be back on the road for the US tour this year? For the first time in years it feels slightly abnormal, towards the end of last year we’d spent months locked away in the studio, it’s time to release the extrovert & become sociable again! Is your set up different for this tour than what it looked like in the past? We tend to run a 3/4 deck NXS2 set up with the pioneer RMX 1000. Your latest single, the groovy “Neo Seoul”, is definitely a soulful and stylish track that’s bound to make waves at the club. How did this song come to be for you guys? We had the idea when we left to Uganda, the idea had been mulling in our minds. On return we completed the track with the memories of Seoul, the city holds a place in our heart. What’s the story of you both coming together to form Bondax? We’ve known each other since our early teens, starting making music at school & never looked back! It’s been quite a while since music releases – what’s in store for the future now that you’re back? An album! It’s coming very soon!